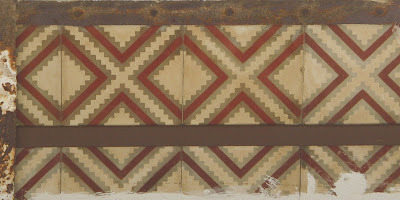 For the longest time we only had graphic images of our popular Patchwork Mix tile. 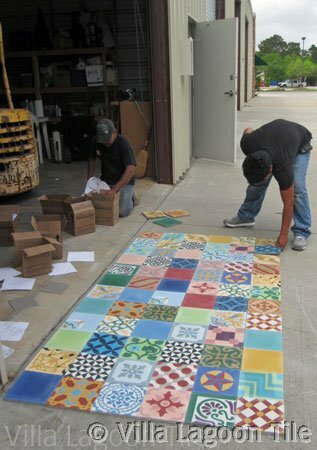 Now that the weather is so perfect, we went to the warehouse and lay out one box of each of the 8 mixed tile boxes. To make a complete rectangle we had to also slip in 2 or 3 extra tiles to finish it out. But now clients can see exactly how the actual Patchwork Cement Tiles will look. 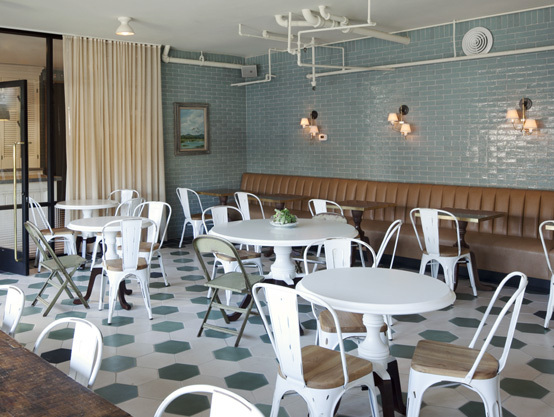 See see the finished Patchwork Cement Tile layout here. 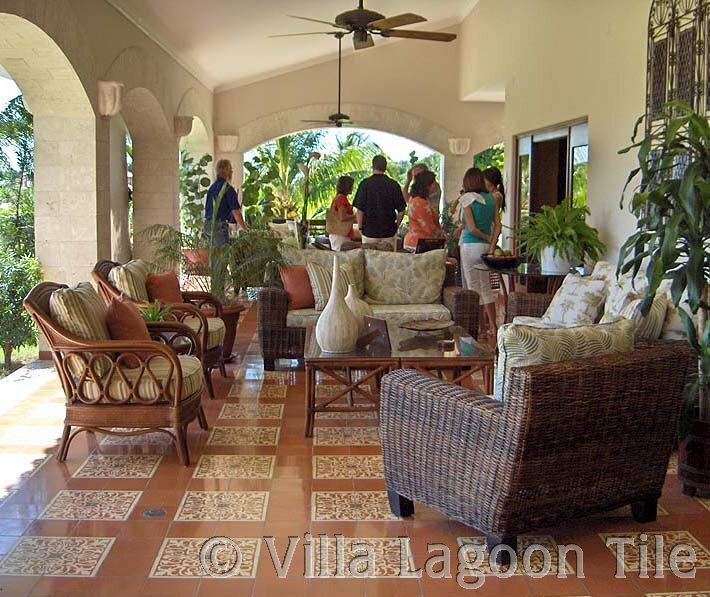 We visited Mexico and while there we took snapshots of shop and office cement tile floors as we strolled around. Amazing cement tiles were everywhere. Often times the office personal or shop keepers would invite us in for better photos. 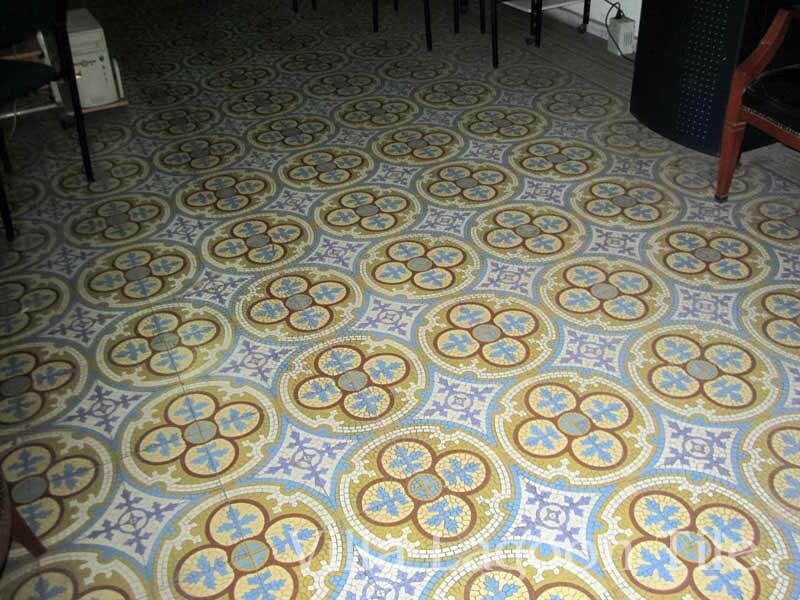 Everyone was proud of their historic tiles…well, not everyone. Some shops had covered over their tiles with cheap ‘modern’ flooring, which usually was not holding up nearly as well as the old tiles. 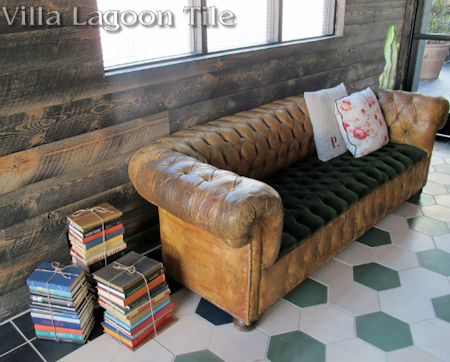 Villa Lagoon Tile just added one page of old Mexican tile floors and another is soon to come. 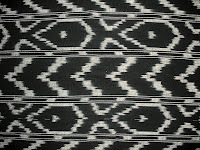 The word “ikat” means “to bind.” It is a very ancient way of creating designs in fabric by resist-dyeing the threads before the fabric is woven. The resulting fabric has a soft zig-zag edge where colors change. 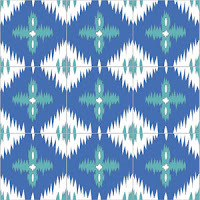 Our new Ikat Tiles reflect this popular look in a mix and match set of four patterns. 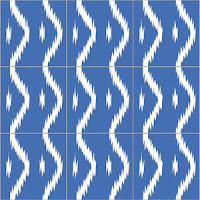 Create an exotic tropical look using our Ikat Tiles wall to wall or visualize a woven rug by combining central pattern tiles with border tiles. Our In Stock Ikat Cement Tile is coming in black and white , a VERY popular combo, but you can order them in any colors you like. We will put notice on the website when the in-stock tiles arrive… pre-orders are accepted. Remember that in-stock tile is convenient for quick delivery but costs more than custom orders…warehouse overhead baby ! Great Day for Up ! 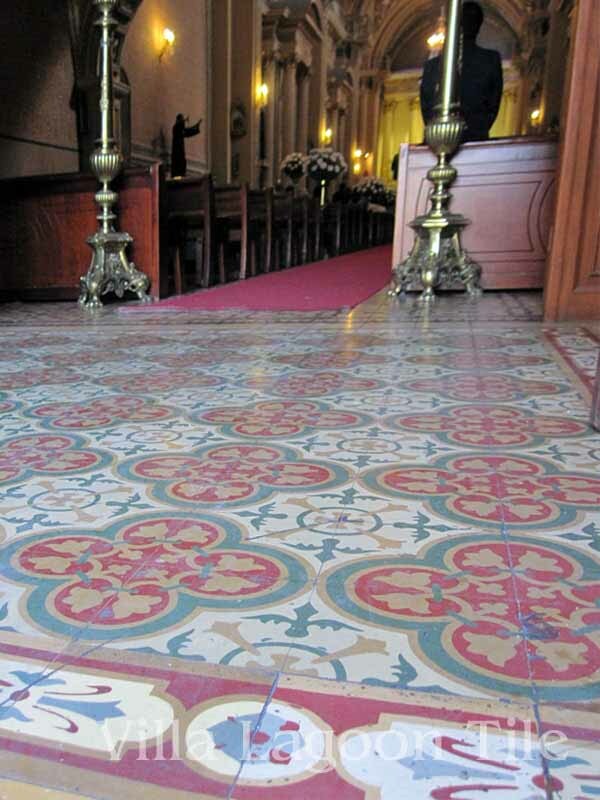 Cement tile enthusiast Susanna, living in Sevilla has a nice blog about discovering old cement tiles. Her latest post is about looking up at the undersides of balconies in to see the cement tiles which probably cover the top sides of the balconies too. Susanne was in Cocentaina (Province of Alicante) in Spain and took some interesting photos of some very old cement tile while she looked upward. How fun is this ? To put cement tiles facing outward UNDER your balcony. What a great decorative touch on a home’s exterior. When you think about it, all balconies are just plain fun anyway. 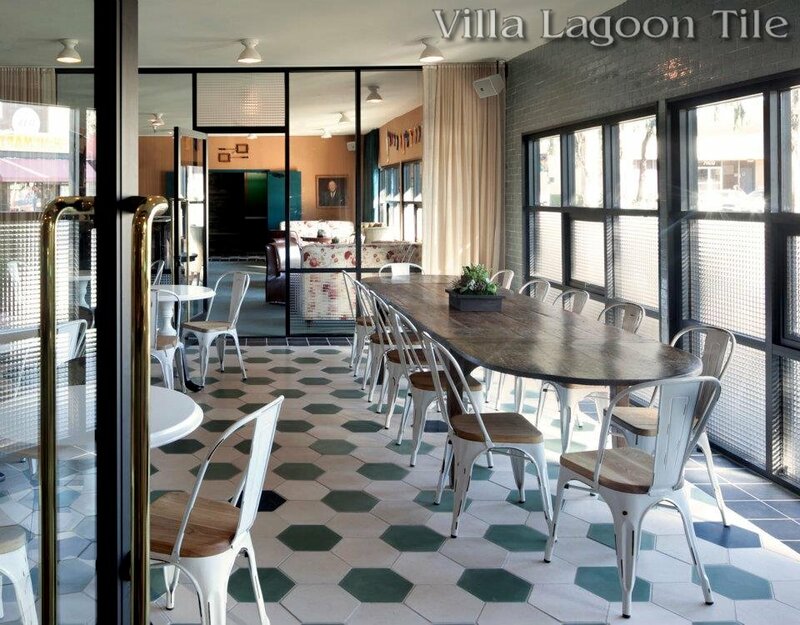 Villa Lagoon Tile for the most and best cement tile. Posted on March 27, 2012 July 30, 2015 Author Lundy P. WilderCategories Cement Tile Installations1 Comment on Great Day for Up ! 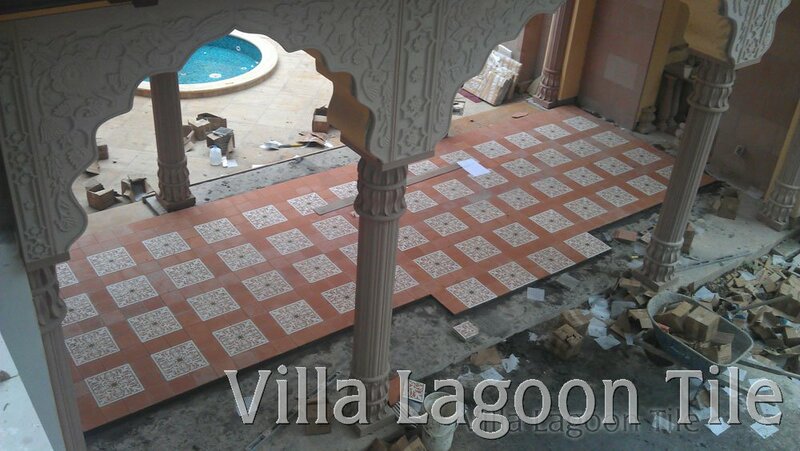 Today one of our clients sent us this in progress cement tile installation going on at her home in Dallas. You know how big things are in Texas, well this home is no exception. The photo shows what we call “Jorge’s Sister’s Layout” named for Jorge’ sis and her Loggia. 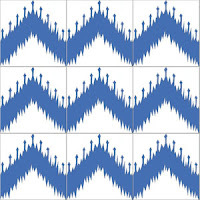 But actually this type of tile floor pattern is economical since the ratio of 1 color tiles to multiple color pattern tiles is 5 to 4. And single color tiles cost less.